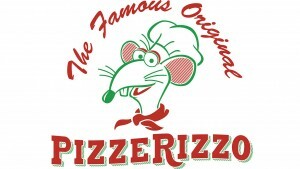 Are you looking forward to enjoying your pizza with Rizzo the Rat? If so, the classic family restaurant that’s owned by Rizzo called PizzeRizzo will be opening at Disney’s Hollywood Studios in the Muppet Courtyard on November 18. The menu for PizzeRizzo will be similar to what it was when it the restaurant was known as Pizza Planet. Guests will still be able to enjoy personal-sized pizzas in four varieties – cheese, pepperoni, meat lovers, and vegetable; Caesar salads; an antipasto salad with romaine lettuce, tomatoes, mozzarella, Kalamata olives, ham, pepperoni, salami, and a balsamic vinaigrette; and a meatball sub. Dessert choices will include a cannoli and tiramisu. Beverages available will include a non-alcoholic peach Bellini, a wildberry-basil lemonade limoncello, and beer and wine. Guests who visit PizzeRizzo will be able to grab their meal in this two-story quick-service location which will feature both indoor and outdoor seating. Guests will be able to dine in a “cheesy” banquet room or enjoy a special booth designed just for Rizzo’s celebrity friends. Those who visit will need to be on the lookout as Guests will be able to see hints of Rizzo, his extended family, and friends who’ve visited his family pizzeria over the years stashed around the restaurant. Same pizza or will they improve it? Unfortunately, it appears as though the pizza will be the same as what was previously sold as Pizza Planet. BOO! !I love tiramisu, but I’m so sad the cappuccino cupcake didn’t survive!! I could tolerate the pizza just to have that cupcake.